One of the best things about London (I might have mentioned this before), is its amazing museums. Another great thing about London is that most of these amazing museums are free, which makes it easy to them visit again and again. 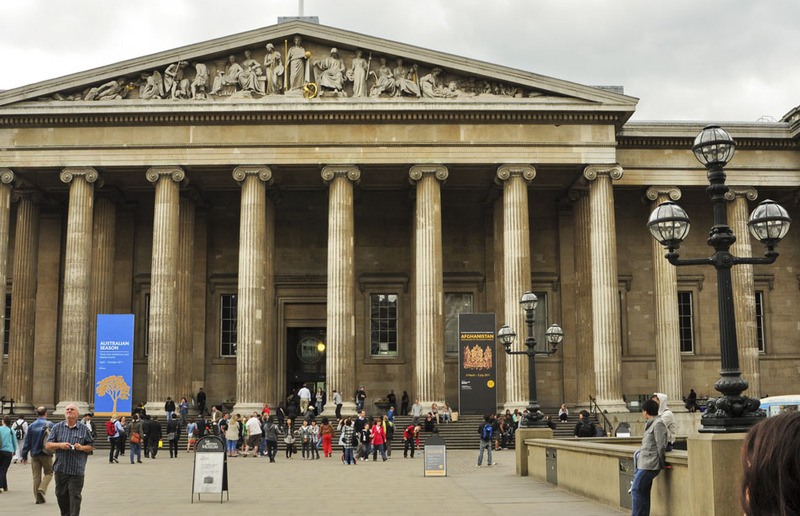 This is especially advantageous with the British Museum, as its vast collections—from present day to prehistory—are just too intense to take in on one visit alone. The central area of the museum is the Great Court—Europe’s largest covered square. This area was once the museum’s open-air courtyard but the two-acre space was transformed and reopened in 2000 as Queen Elizabeth II Great Court, complete with an impressive glass ceiling. During our visit, Kevin and I decided to harness our energy on the ground floor, which also happens to be where the most popular sections of the museum are located. This floor contains Egyptian, Assyrian and ancient Greek collections and artifacts as well as the Enlightenment Gallery. Near the Rosetta Stone is the colossal granite statue of Rameses II, the 13th Century Egyptian monarch, along with an extraordinary array of fascinating Egyptian sculpture and artifacts. We made a pass through the Egyptian Death and Afterlife Gallery as well, for a look at mummies. Fascinating stuff. Another popular sight in the museum is the ‘Elgin Marbles’—a collection of sculptures and various pieces of architecture from the Parthenon in Athens brought to England by Lord Elgin. It was amazing to be eye level with these powerful pieces from this great Athenian temple. We also wandered through the Enlightenment Gallery. Here you will find a diverse exhibition of objects from this period. One object of interest is The Sloane Astrolabe—an astrolabe is a complex instrument used to locate the positions of planets and stars, to tell time and even your horoscope, among many other things. 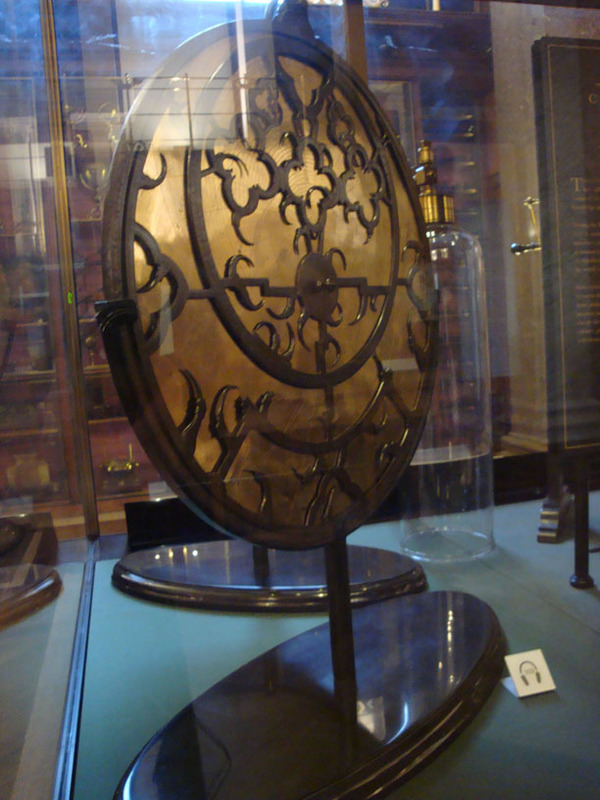 This particular astrolabe is large and very beautiful and is one of the oldest European astrolabes, made in England around AD 1300. We enjoyed our visit to the British Museum and look forward to learning more about the other galleries at a later date. *Be sure to rent an audio guide, it’s one of the best! 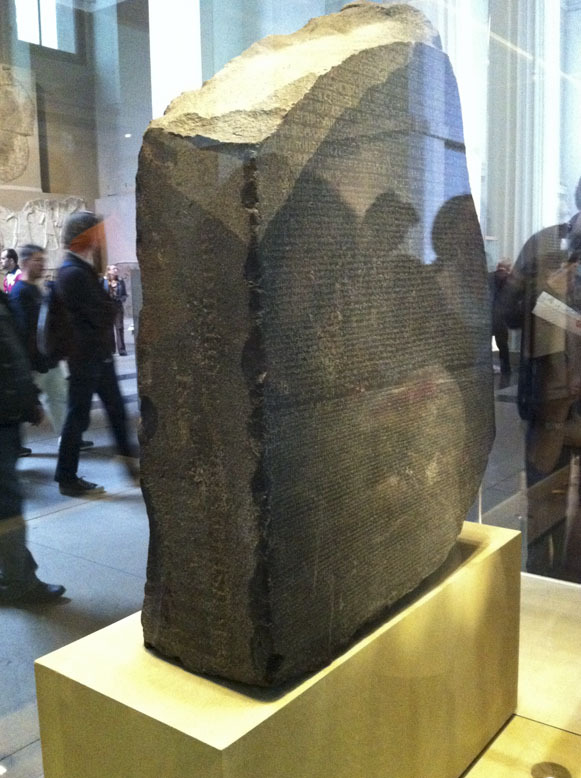 This entry was posted in The Sights and tagged British Museum, Elgin Marbles, Rosetta Stone. Bookmark the permalink. Hey sis – great post! 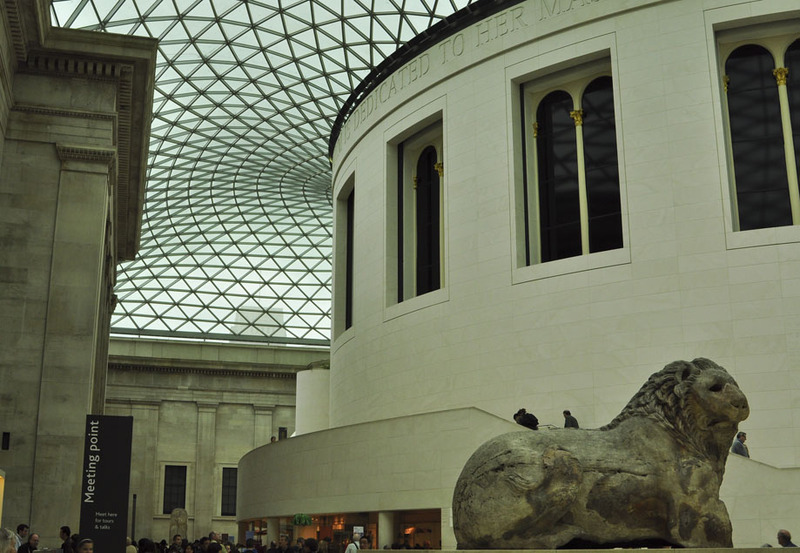 The British Museum looks wonderful & I can’t wait to see it – the architecture is just magnificent! You’ll love it, B! It is a great museum.